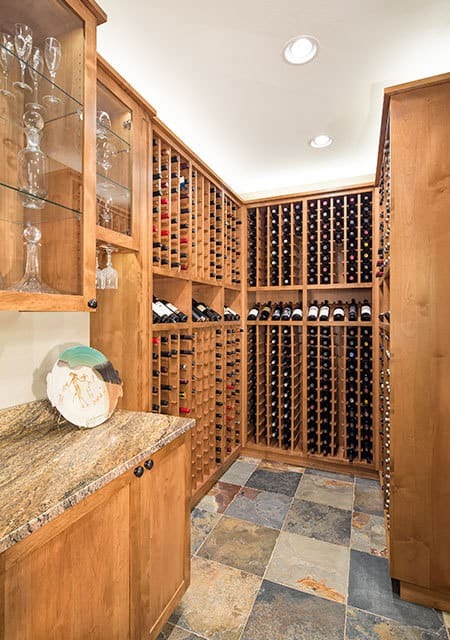 These wine connoisseurs had spare room in the basement of their new home in Louisville that was the perfect place to build a temperature-controlled space to display and store their extensive wine collection. The space is large enough to offer tastings. 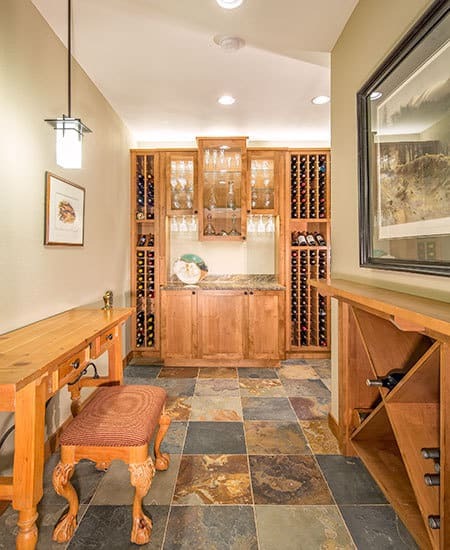 Floor-to-ceiling wine racks offer plenty of storage. The knotty alder cabinetry and rich slate floor bring texture and warmth to the “chilled” room.